Fresenius Medical Care is the largest provider of dialysis services in the United States. The company not only operates its own clinics but also manufactures equipment and dialysis drugs for others used throughout the United States. Because Fresenius produces drugs and medical products that are used in so many different clinics for patients undergoing dialysis, the company is required to ensure that its products are safe and the company must warn patients and physicians of any unexpected dangers, risks or side-effects that may occur due to product use. Evidence indicates, however, that Fresenius failed to live up to this basic and important obligation. As a result, our Boston dialysis injury lawyers know that hundreds of dialysis patients experienced cardiac arrest, sudden heart attacks or death. Hundreds of cases have been filed already against Fresenius Medical Care and more than 312 of those cases are moving forward as part of a consolidated multi-district litigation in Massachusetts. Holding Fresenius medical care accountable for the injury that has occurred to patients because of the product defects can be a complicated and lengthy proposition. Plaintiffs must identify that they experienced a complication, must submit a complaint to the court, and must go through the pre-trial process before finally being able to have their day in court to show that Fresenius Medical Care breached its legal obligation. 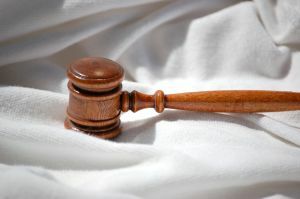 All of this can take days, weeks, months or even years to occur, especially if the pre-trial process involves a lot of motions or requests made to the court to rule on issues like the scope of discovery. To try to streamline the process and make it easier for all plaintiffs affected to get justice, courts use legal procedures called multi-district litigations to more quickly resolve issues relevant to defective product cases. The 312+ cases that are consolidated in Massachusetts are all part of a multi-district litigation that allows the judge to just rule once on certain relevant pre-trial issues so the cases against Fresenius can continue moving forward. In the multi-district litigation in Massachusetts and in other multi-district litigations, each plaintiff still retains control over his or her own case, unlike in a class action lawsuit where the plaintiff’s complaints are consolidated into just one big lawsuit. The consolidation of cases into a multi-district litigation means that each plaintiff maintains his or her separate cause of action against Fresenius, but the process for the plaintiffs becomes easier and faster because the judge doesn’t have to look at every single motion for every single case and answer each separately. As the cases move forward against Fresenius for the dangerous dialysate it produced, each plaintiff and any individuals who may have been harmed by Fresenius products, should carefully monitor decisions made by the judge in the multi-district litigation in order to understand how those decisions will affect the individual plaintiff’s rights going forward. The decisions made regarding the scope of discovery will be especially important, as plaintiffs may need to use the discovery process to obtain documents from Fresenius showing that the company knowingly withheld information about the dangers of its products and the risks to the public.